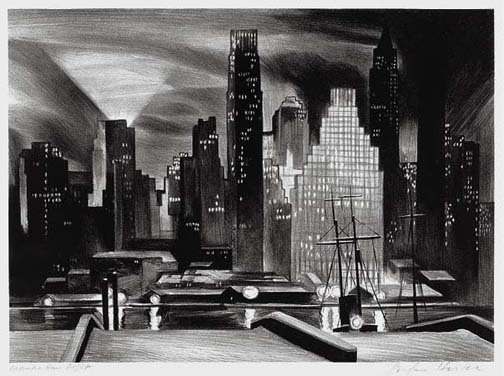 Untitled (Urban Landscape) - - 1929, Lithograph. Edition 30. 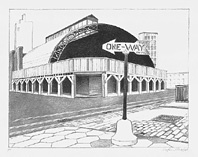 Signed, dated and numbered 18/30 in pencil. Image size 9 1/4 x 13 1/4 inches (235 x 337 mm); 11 1/4 x 15 7/8 inches (286 x 403 mm). A fine, rich impression, on off-white wove paper, with full margins (15/16 to 1 3/8 inches), in excellent condition. 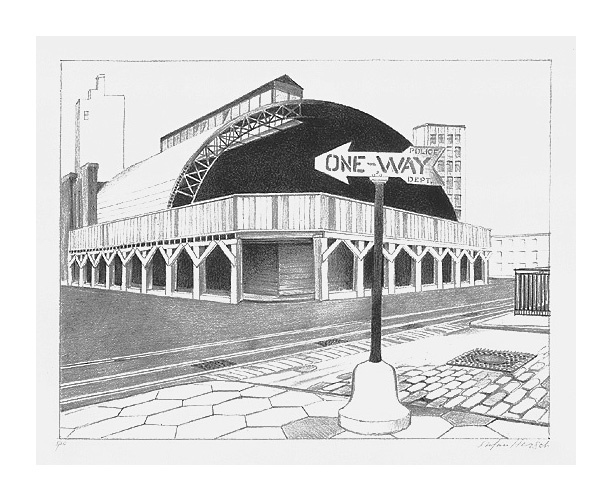 One Way Street - - 1929, Lithograph. Edition 30. Signed, dated and numbered 5/30 in pencil. Image size 10 1/8 x 13 7/8 inches (256 x 351 mm); 11 1/2 x 15 5/8 inches (267 x 397 mm). A fine impression, on cream wove paper, with full margins (1 to 1 3/4 inches). Minor pale foxing in the lower left margin, otherwise in excellent condition. 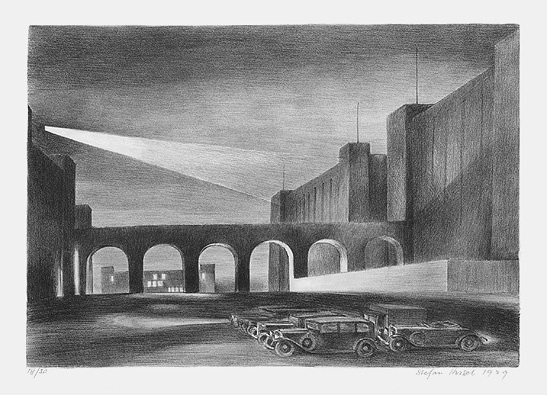 Manhattan Night - - 1932, Lithograph. Image size 10 1/8 x 13 7/8 inches (256 x 351 mm); sheet size 15 7/8 x 22 11/16 inches (403 x 575 mm). A fine, rich impression, on heavy off-white felt paper, with full margins (2 3/4 to 4 1/2 inches). Two repaired tears in the left and bottom sheet edges, well away from the image; pale toning at the sheet edges, otherwise in excellent condition.